Harvard Education expert Tony Wagner says that the world no longer cares about what you know; it’s all about what you can do with what you know… Essentially, they (employers, interviewers etc.) want to know one thing: Can You Add Value? What does that mean for you, as an undergraduate or graduate student? Ever wonder why you were rejected? Read on my friend – people get rejected for primarily two reasons: 1) they were not showing the employer how they could help add value to the company’s forward movement and 2) they didn’t know what they wanted – believe it or not, this type of thing shines through for employers because the candidate has clearly not done the research and or learned the necessary skills for the position that they are interviewing for. So what?? Here I am, telling you that the working world no longer cares about those many qualifications you may possess – which isn’t entirely true – but the point is that they care about how you present yourself, what you can do with what you know, and how you can better their company in both the short and long term. Simply presenting your bachelor degree or certificate of qualification is not enough. Coming back to the title of this blog – “How to Get That Job” – I’m going to let you guys in on a few little tidbits I’ve retained from my personal experience and research. Surprised? Believe it or not, a common fad for unemployed people is to equate looking for a job with sending out a resume (or a mass of resumes) or simply answering a few ad’s on a job board.. WRONG. The only time you should be sending out a resume (or resumes) is when you’ve established that there is a real job at a company for which you’re being considered, or if a headhunter is trying to fill an open position and requests a resume. Key idea here à Instead of presenting yourself as an out-of-work job seeker, (sending out mass resumes, seemingly desperate, and or lazy) come across as a resource; let people (employers) know that you can solve their problems. **Note: not personal problems, I’m emphasizing on problem solving skills that you (hopefully) possess and can then transfer into your work for the potential company – thus ‘solving’ their (the company’s) problems. 2) STOP focusing all of your energy on your Resume…. WHAT?? I know, coming from a Career Assistant – but focus on what I’m really saying here… Obviously a clean, clear, concise and updated resume is mandatory, but that’s not all that’s helping you get ‘that job’. More and more companies/employers are relying on LinkedIn (or other various professional social media types) to get to know a candidate better – professionally. A lot of students ask me what happens if they don’t have a LinkedIn profile, and another candidate does… My answer: they automatically have the upper hand (in most cases). That doesn’t necessarily mean that they’ll get the job over you, but it does mean that going into the interview, that interviewer will have a better concept of that other candidate. Then, of course, I’m asked if that is a good or bad thing. Answer: Eh, debatable – but I always highly recommend and encourage students and new (or experienced) professionals to not only obtain, but also maintain a LinkedIn profile. At least consider the possibility by listing out the Pro’s and Con’s – do some of your own research regarding the benefits… Figure out if the company that you are applying with and or interviewing with has a LinkedIn Group etc. If so – common sense suggests you invest in a profile. 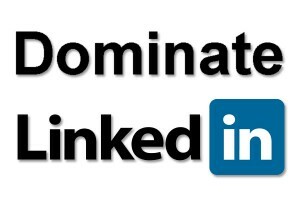 **Note: An ‘adequate’ profile on LinkedIn is worse than none at all – simply put, if you don’t have the motivation to create and maintain a stellar LinkedIn profile, don’t bother. 3) Hold the Speech Pal…. Once 15-20 seconds goes by of spouting off numbers, facts, and stereotypical accomplishments – no one really remembers what you’re saying. Tell a story instead. No, not a personal life story, employers don’t care, not to mention that type of conversation is inappropriate for an interview; but rather translate that 20 second elevator pitch of qualifications and figures into a memorable story. Make it entertaining, humorous etc. Example: if you’re considered to be a connector, talk about how that strength has helped you to find successes within your previous (and, if applicable, current) job(s). Don’t lead your conversation off with the latest news about your personal life – keep it professional. There’s a fine line people tend to walk and cross when it comes to talking about them self during an interview. You’ll want to really focus your energy and conversation on how you can better serve them – them being the overall company and perhaps your division (depending on how the company is set up). However, with that being said, remember to focus on them, the interviewers; be inquisitive – show an interest in their accomplishments and needs. Networking, believe it or not, (sarcasm) is not all about listing off your accomplishments – it can and typically is much more than that. The job search process can make us pretty crazy and emotional at times – especially when you go into that 5th interview and then are told that the firm has decided to go with someone else for the position… booo… Whatever you do, DO NOT TAKE YOUR FRUSTRATION TO THE OUTSIDE WORLD. If you’re having a bad day, distract yourself – check emails, do research, OR, if you’ve read my other blog post – go work out!! PUMP YOURSELF UP! The hiring and decision making process is, essentially, out of your hands – learn to let go, and keep moving forward. Easier said than done? That’s your opinion, how you react, how you feel and how you grow is all in your control. Decide who you want to be, define it, and then proceed. Posted in Job Search Strategies, Opinion piece, Uncategorized. Some of you may have never heard of LinkedIn before, so I will give you a little overview on what it is, then share a list of my top 5 reasons to get on it! For those of you who do know about LinkedIn bear with me a bit while I bring everyone else up to speed. LinkedIn is the world’s largest free professional social networking site, where you can connect with past and present coworkers, employers, companies and classmates, and make new connections through your current network. Establish Credibility – Having an account will allow potential employers to look up your profile to learn information not necessarily on your resume. You can add skills to your profile, which people in your network can then endorse, showing employers that other people also value your abilities. Also, employers can see your connections with companies, people, and professional associations, which can build a well-rounded appearance. Build a Professional Network – LinkedIn allows you to connect with professionals within your field, whether you know them or not, with prior or current employers and coworkers, as well as classmates. Many of these connections can speak to your abilities, and may be able to give you professional advice or provide a connection for a potential job opportunity. Discover New Opportunities – Your network (people and companies) have tons of knowledge just waiting to be called upon. You can start a discussion feed or create an update asking for opportunity information. Also, the more connections you make, the broader your network will get and the greater possibility for opportunities to arise when you aren’t even looking for them. To be Found – It is nice to be able to be found by potential employers online, especially when you are building your network, and when you are prepared to make a great impression. Most of us would much rather an employer find our LinkedIn account than our Facebook or Twitter accounts, even if you have them private, or manage your content. If you don’t have a LinkedIn account, you should definitely think about making one, especially since you will only benefit from it, and it doesn’t take much time to create or manage. 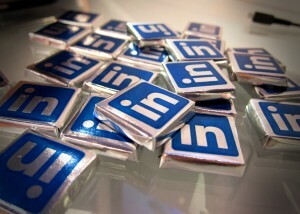 LinkedIn provides many training tutorials to help you get started! Posted in Job Search Strategies, Social Media.